There are also foods that can help deflate the belly. Five of our go-to de-bloating foods are listed below. Eating a few of these on a regular basis can keep you from feeling like your stomach has overstayed its welcome at your next party. Are you tired of feeling bloated? Friends and clients have been asking me about foods they can eat to help get rid of their post-party bloat. Most of us experience this distended feeling of fullness during a party and often through the following day. Bloating can occur from gas-producing foods, food allergies, or highly-processed foods that cause water retention. Eating slowly and avoiding carbonated beverages will help decrease your chances of feeling bloated. 1. 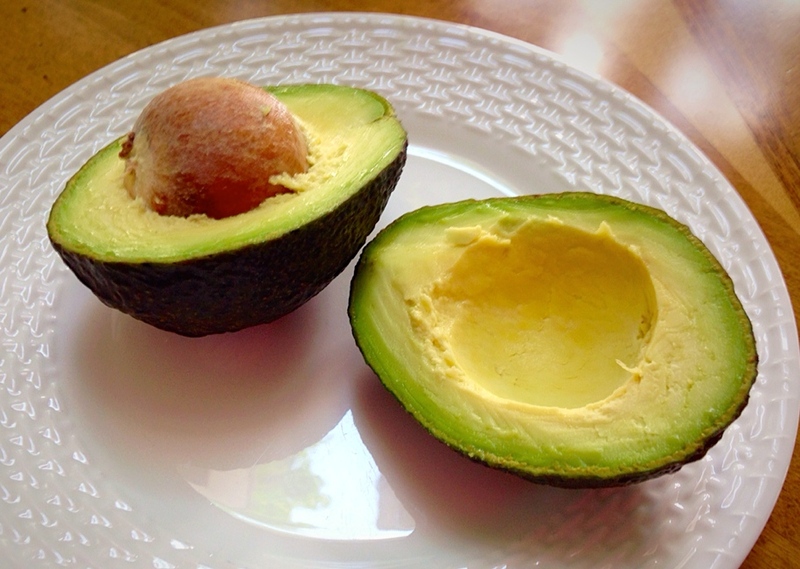 Avocados are at the top of our list of foods that de-bloat. They contain more potassium than a banana. Potassium-rich foods may help flush excess sodium your body. Avocados have a creamy texture that compliments sandwiches and salads deliciously. You can also incorporate them into a dip or smoothie for a nutrient-packed snack. 2. Pineapples are the symbols of hospitality. They contain a natural enzyme called bromelain. Bromelain may help with various digestive issues including bloating and indigestion. This "welcome" fruit is also high in fiber and rich in antioxidants. Pineapples are delicious by themselves, blended into a smoothie, or tossed in a salsa. 3. Asparagus is known for being a natural diuretic. This elegant party vegetable is high in fiber, which promotes a healthy gastrointestinal tract. Asparagus pairs well with meat and seafood entrees. Enjoy it steamed, roasted, or grilled. 4. Fennel is an herb-packed with antioxidants, essential oils, vitamins, minerals and fiber. Some of the essential oils found in fennel seeds may help prevent bloating by promoting a favorable environment for absorption and digestion of nutrients. Enjoy fennel sprinkled on top of a salad, yogurt, or fresh seafood. 5. Ginger is one of our favorite herbs and it has long been known to help soothe the stomach. Ginger may also help deflate the stomach from gas-producing foods. Fresh ginger adds a slightly sweet and peppery flavor to Asian dishes as well as juices, smoothies, and soups. Be sure to chew or sip on ginger to help fight the party bloat. For healthy recipes and more nutrition advice visit ProNutritionConsulting.com and "Like" Professional Nutrition Consulting, LLC on Facebook.